is Shinkyu karate’s school club programme, running after- or before-school classes for junior age (7-12) children. The Shinkyu Dragons programme is designed to provide an engaging and valuable experience for children, improving discipline, confidence, co-ordination and concentration while teaching valuable self-defence life skills. We have had great success with running classes in over a dozen schools. This success is down to our engaging syllabus, great relationships between our instructors, parents and teachers and our anti-bullying and safety awareness programme. 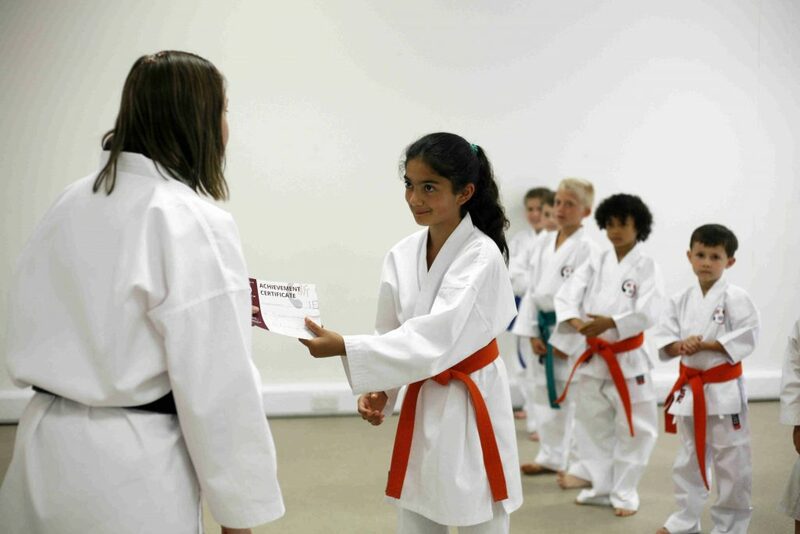 If your child is already part of the dragons programme and you would like them to get even more from their karate journey we highly recommend taking up our public classes too. Training in a combination of Shinkyu dragons and Shinkyu karate classes falls under our same month direct debit. Training more frequently really helps your child’s improvement and they will see a lot more benefit from training. Public classes also run all year round (except for between Christmas and New years) so child won’t have long breaks through school holidays. To find out how this works please call Amandeep on 03330124521 anytime. You can also try out our public classes for two weeks for FREE. In the meantime click below to find out more about our “Parent and child safety awareness program” which is a big hit with the parents, giving them a lot more peace of mind that their kids know how to stay safe.